When French bistro La Maison Fatien first opened shop over 2 years ago, I remember how hard it was to even secure reservations. 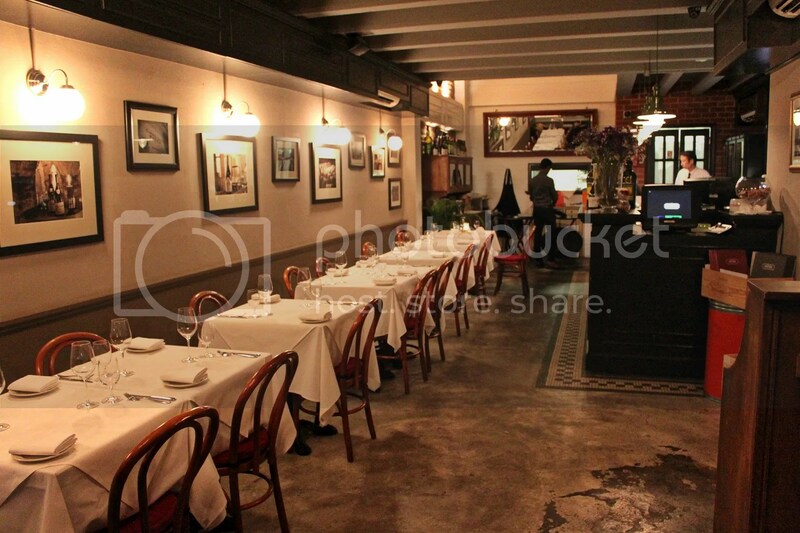 The food was great then and the setting dim and intimate, especially on the 2nd floor. So when I found out that Amex Platinum card users could get a 50% discount off ala carte items here (more details below), I jumped at the opportunity, heading down for dinner after work on a Tuesday night. 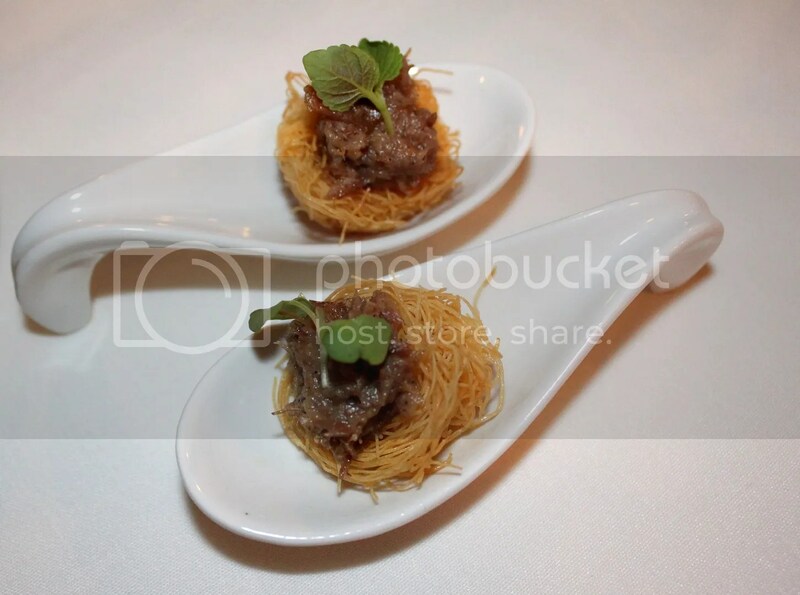 Dinner started off with a complimentary amuse bouche of what I assumed to be Pork Rillette. Didn’t really enjoy it because the fat tasted somewhat stale and left an unpleasant aftertaste. The Fatien family actually runs a wine merchant business back in Burgundy, France, so we ordered a carafe of their Pinot Noir ($68++), which equates to about 2.5-3 glasses. Sadly, booze is relatively pricey here and is not applicable for the Amex card discount. 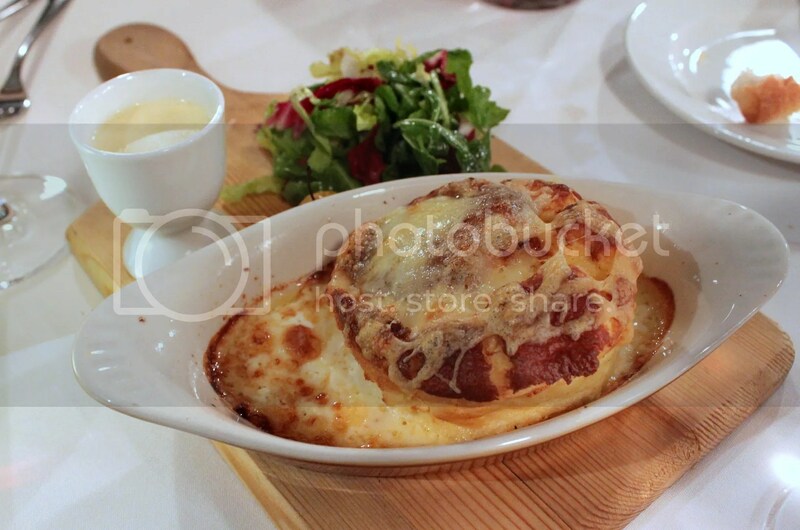 Almost identical to the one at Stellar @ 1-Altitude was the homemade Twice-baked Cheese Souffle with Baby Apple, Gruyere Sauce and Mesclun Salad ($27++). Crisp on the outside, puffy on the inside, this was certainly the highlight of our night. 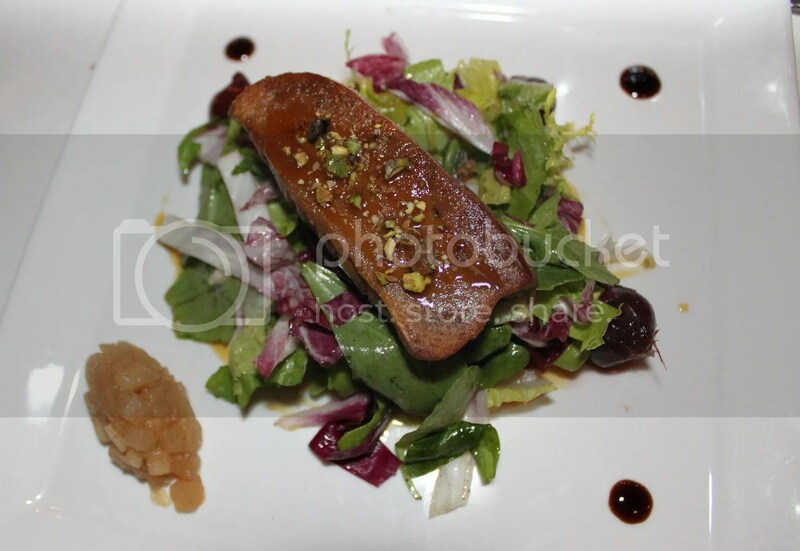 Decided to err on the side of caution and stick to a French staple, the Pan-seared Foie Gras on Brioche served with Gastrique Glazed, Apple Compote, Mesclun Salad and Nuts ($27++). Unfortunately, the foie gras was overcooked and the exterior wasn’t crisp enough either. The apple compote also lacked the tartness required to complement the liver. The mains failed to impress as the Char-grilled Pork Rack with Lentils, Glazed Vegetables, Onion Fondue and Orange Balsamic Sauce ($36++) lacked character and flavour. 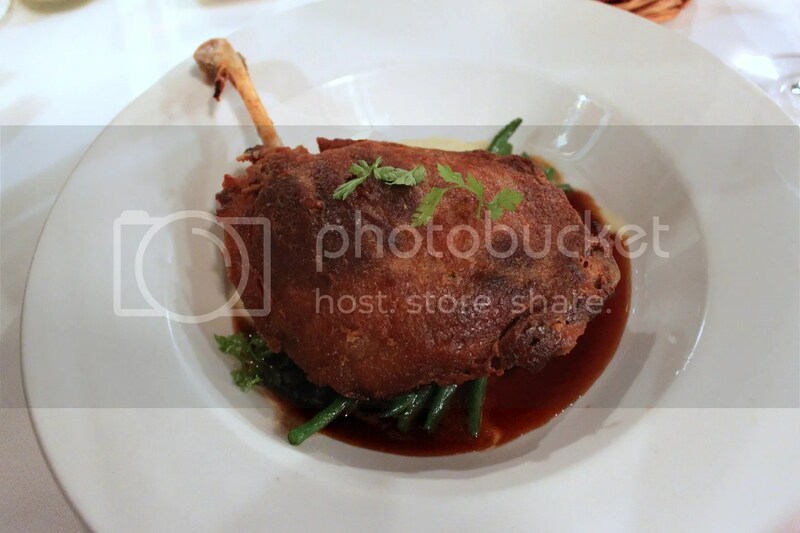 The Crispy Skin Duck Confit with homemade Celeriac Mash, Fine Beans and Duck Jus ($33++) fared slightly better but better executions can be easily found elsewhere. 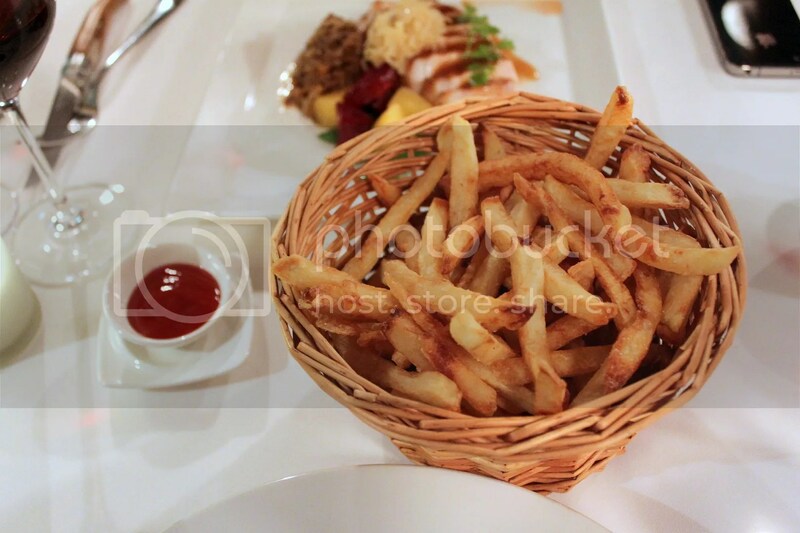 However, I did like our side order of the Truffle Fries ($10++). The cut of the fries was somewhere in between shoe string and chunky, so you really get the best of both worlds, thick enough to get a nice bite but narrow enough to get sufficient crisp on the exterior. 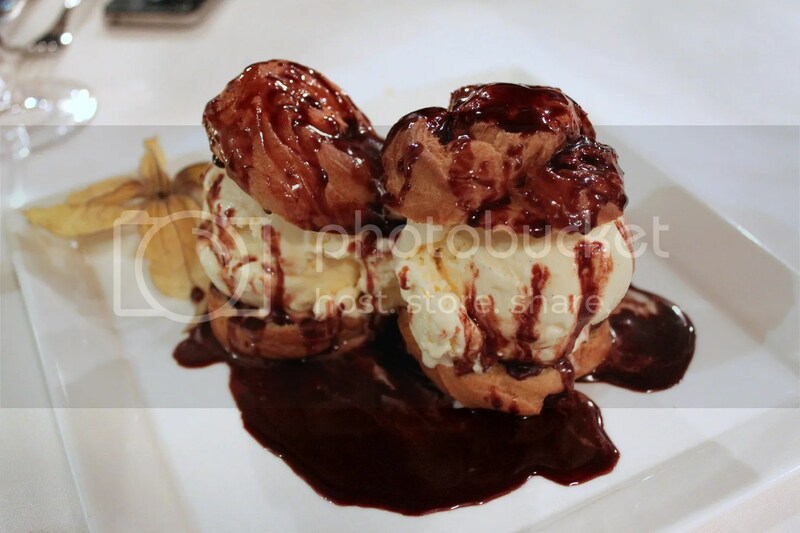 Ended our meal with a pleasant but unmemorable order of Profiteroles with Vanilla Ice Cream and Chocolate Sauce ($24++). The portion was huge and meant for sharing evidently. With more misses than hits, I’m inclined to believe that La Maison Fatien has past its prime. A friend mentioned to me that there has been a reshuffling in their staff recently and this might explain why our recent experience was so different from two years back. 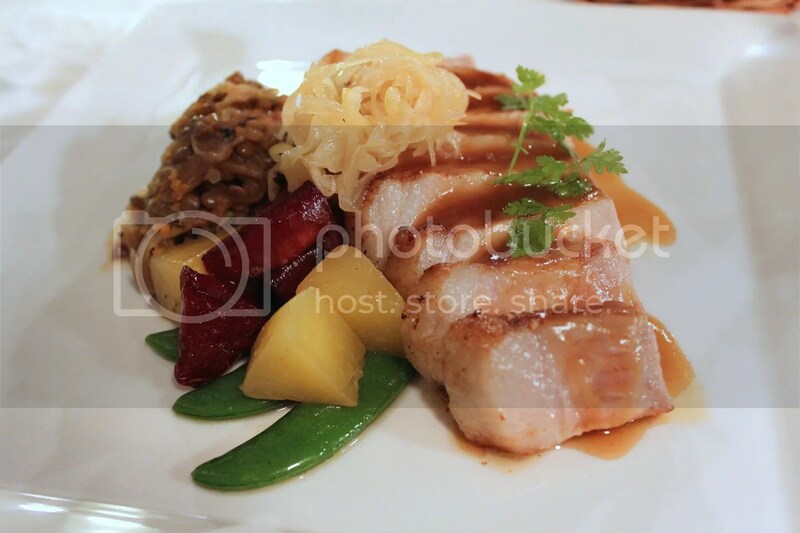 In addition, from now till 9 November, 2014, Platinum card members will also get the chance to be one of five lucky winners daily to win $100 worth of Tunglok dining vouchers for the Monday-Saturday draws and $100 worth of Fairmount dining vouchers for the Sunday draws. Each receipt above $50 earns card users 1 chance to win, with doubling of chances for receipts from any The Far Card or Palate establishment. This meal was sponsored by Amex.